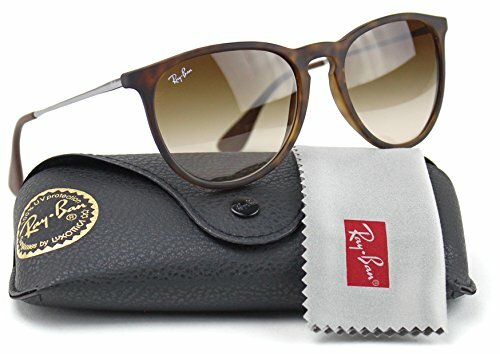 Erika RB4171 Ray-Ban Erika RB4171 sunglasses are the perfect accessory to complete any look. Featuring both classic and bright rubber fronts, metal temples and tone-on-tone temple tips, Ray-Ban Erika sunglasses will set your look apart from the crowd. The oversized Round Sunglasses shape provides extra coverage and 100% UV protection, while the soft bridge adds a twist to this design. Color: 865/13 Tortoise Frame / Brown Gradient Lens.